The MaxiCabNow's large taxi booking service is excellent for extended family vacations, large parties, business groups, or social gatherings because it allows a spacious seating capacity for passengers to render them with extra comfort. This also provides lots of area for relaxation and leg space, and the drive is so stable that you can whip out beer bottles and stay confirmed you won’t spill even a single drop, not except you wish to! With MaxiCabNow you can also opt for special services such as wheelchair transportation or any other facilities. There’s lots of room that is adequate to carry bulky luggage as well. However, if you’re feeling uncomfortable even if you find this an ideal fit for your needs but seems too costly for you, then you’re at the perfect place. It is genuinely a lot more cost-effective to get the large tax booking services from us for entire your journey instead of hopping one taxi to the other and dividing your groups up in different cabs. 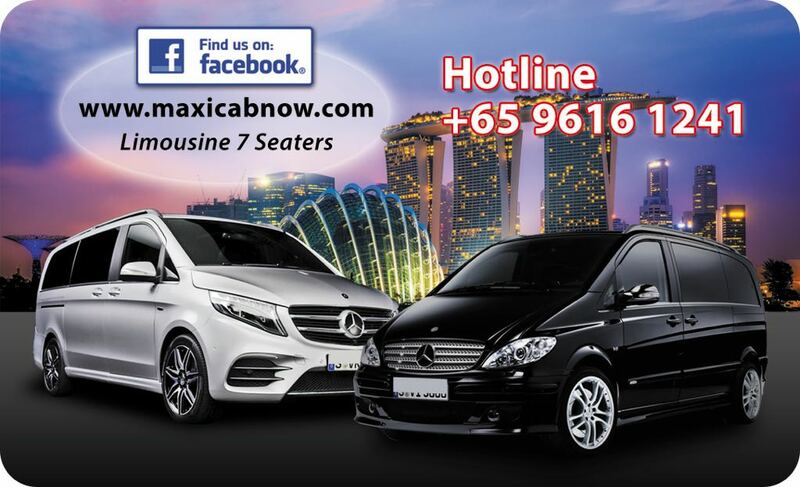 So for what you still waiting for, go for online taxi booking in Singapore with MaxiCabNow right now. All fare is before prevailing road tax charges, if any. Waiting Time: First 45 Mins is free. There will be a $10 surcharge for bookings made for 4 - 7 February 2019. A SMS will be sent to you shortly to confirm the Driver's detail.